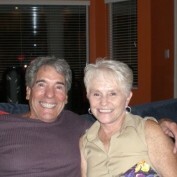 Chuck and Gayle are both retired senior citizens who are passionate about sharing with others tips on staying youthful, anti-aging, as well as health and fitness and good nutrition for their age group. They both are good examples of living a healthy lifestyle and maintaining their youth in mind, body and spirit. We also love to share things about our lives, hobbies and entertainment.